Fancy being an artist for an hour or stuck for a Birthday or Christmas gift. Why not give something a bit different this year? 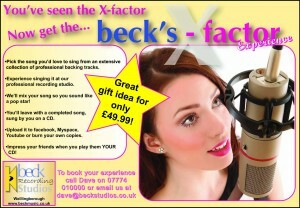 Our latest promotion here at Beck Studios is the Beck’s factor experience. 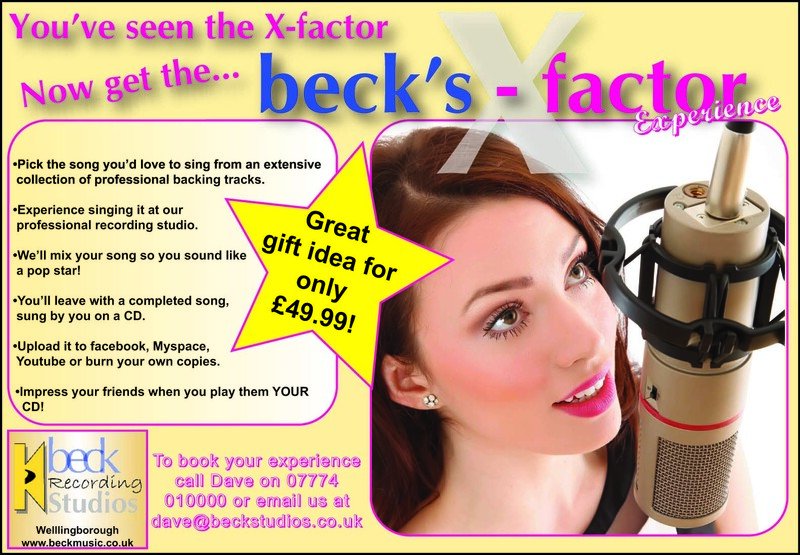 For only £49.99, you can come into the studio, pick a quality backing track, sing it and we’ll mix it and give you a CD with the track on. You could burn your own copies and give them to your friends and family or put it on Youtube or Facebook. Book now while we still have available slots. Have a go yourself or give it to someone you love as an excellent idea for Christmas!